This new technology may be the future for mobile battery applications. At the core of every direct current (DC) electrical system is a battery bank. Not so long ago, the battery electrochemistry was based on the reaction between lead oxide and lead as electrodes in an electrolyte of aqueous sulphuric acid. Commonly the two electrodes were flattened plates, sandwiched together with an insulating separator material to prevent short circuiting, in a container flooded with electrolyte to form a two-volt cell. This format is the basis of a flooded lead/acid (FLA) battery. The electrochemical reaction between the lead/lead oxide and acid is reversible, and current will flow from the positive pole of the battery to the negative pole of the battery spontaneously. Energy can be re-generated by putting it back into the battery with a DC generator (a battery charger or alternator typically) which will make the chemical reaction go in the “up-hill” direction. There has been a move away from flooded cell technology to suspending the acid electrolyte: first in a gel matrix (Gel batteries), and then absorbed in glass mat (AGM batteries), but the electrochemistry has remained lead/acid. There are a few down sides to lead/acid technology. The lead portion of the lead/acid cell is very heavy, as is the electrolyte or acid portion. 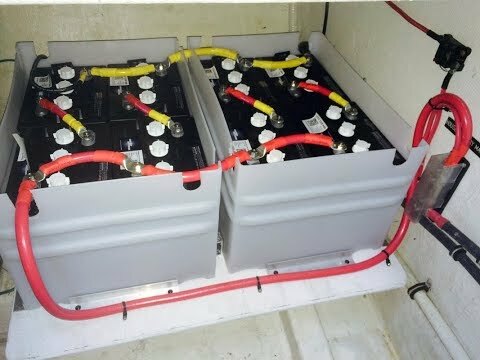 The energy density of lead acid batteries is not as great when compared to other energy storage formats, and for mobile storage applications. This ratio between weight and energy density has made lead acid batteries a problematic choice for mobile applications that require large energy demands. 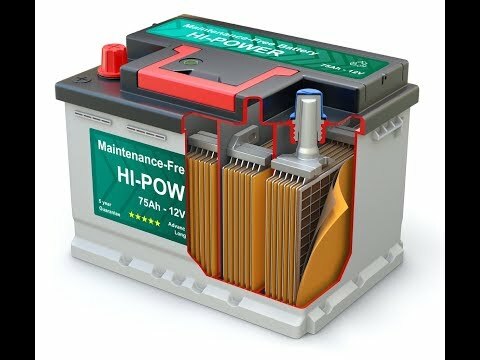 Lithium ion batteries had a much higher energy density than lead acid batteries, and weighed 70 percent less when considering similar energy capacities, however, the lithium ion discharge and recharge rates were too slow to deliver power efficiently to high load demands. From 2007 to 2009 researchers at M.I.T. developed a method of “doping” the lithium electrodes with nanophosphates (microscopic sized particles of iron phosphate) which resulted in a 100 fold increase in the speed of lithium ion migration, making the energy more available for high load demand applications. A positive side effect of this newer format is that the chemistry is far more stable, making the battery safer and capable of operating in a wider range of ambient temperatures. These Lithium Iron Phosphate (LiFePO4) batteries are positioned to be the next good candidate for mobile power applications. 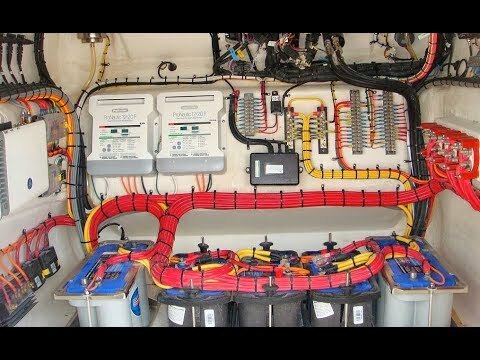 Pacific Yacht Systems Inc. recently installed a system with one LiFePO4 battery at the core and three separate AC chargers on a 50-foot vessel. There are a few notable technical issues worth sharing. From an installation point of view, the battery weighs far less than a similar sized lead/acid bank. In order to consider similar sizes amongst types it is important to consider depth of discharge (DOD) of each battery. Under cruising conditions (i.e. 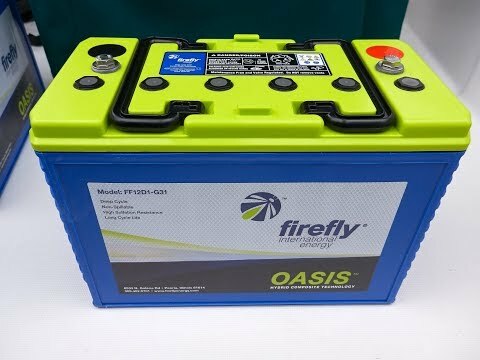 away from the dock and unlimited charging time), a conventional FLA battery provides 35 percent of it’s overall capacity, a Gel or AGM battery provide about 55 percent of its overall capacity, but a LiFePO4 battery provides 80 percent of its overall capacity. 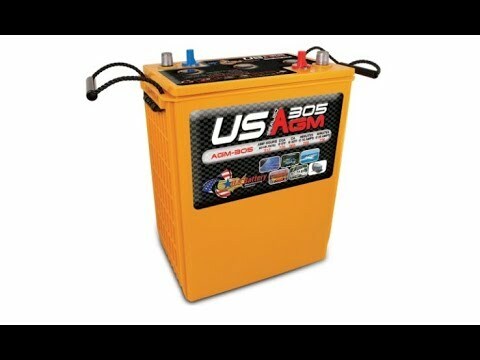 A LiFePO4 battery with a 360Ah 20 hour rate has a usable energy rating of 290Ah and weighs 125 pounds. A conventional FLA bank, for example two 8D batteries (240Ah each), has a usable energy rating of 168Ah, 122Ah less than the LiFePO4 and weighs 345 pounds, almost three times that of the LiFePO4 battery. As an added bonus, the foot print of the LiFePO4 battery is less than one third of the FLA bank. While the LiFePO4 utilizes the most stable lithium ion chemistry, the batteries are still susceptible to charging issues. 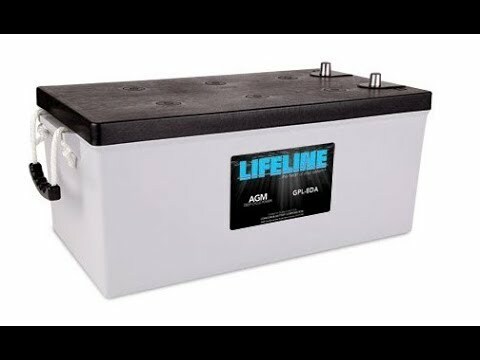 The acceptance rate for a LiFePO4 battery is remarkable, commonly rated at three times the battery capacity, meaning a 360Ah battery could take a theoretical 1,080 amps of charge. In our latest installation, the effective charge rate, totalling 350 Amps is achieved with three chargers: 1 X 150 Amps inverter/charger and 2 X 100 amp chargers. In the above example, the replacement of 80 percent of a 360Ah battery, at a charging rate of 350 Amps, is complete in under an hour. All of these chargers are networked together, working in unison, to charge the LiFePO4 battery at a faster rate. This high charge rate results in reduced genset runtime, as the LiFePO4 batteries can be charged at a fraction of the time required to charge a FLA battery. LiFeP04 batteries don’t go through the three stages of FLA batteries: bulk, absorption and float. The battery is bulk charged until full (no absorption required), at which time float voltage and currents are mandatory to prevent over-charging. Note there are very few chargers or alternator regulators that are capable of safely and efficiently charging LiFePO4 batteries. If you are designing or implementing a LiFePO4 battery system, you will need to choose components that are compatible with this technology. It is extremely important that a compatible charging system is installed in conjunction with this type of battery. A safety relay should also be installed, immediately in line with the positive battery cable to disconnect the battery in the event of overcharging or over temperature scenarios. This safety relay must control these parameters and if necessary disconnect under full load, so the choice of relay/controller is critical. 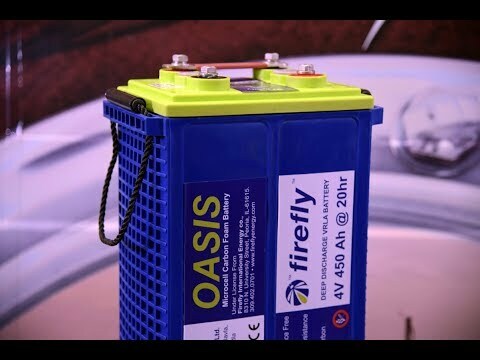 The major manufacturers that are providing this new battery technology are fully aware of these issues and can provide peripheral products to support the safe usage of LiFePO4 batteries.